President signing several major agreements on economic cooperation. According to the Central Bank of Nigeria’s governor Godwin Emefiele, our country will even start exporting goods to China, in addition to the crude oil exports that are so crucial to Nigeria’s economy. 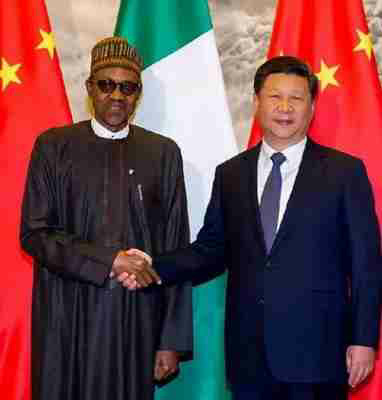 The news of increased business links with China comes as the Naira continues to enjoy a period of stability on the parallel market, with the national currency continuing to trade at N319 against the US Dollar and N448 against British Pounds Sterling. The president’s economic mission has also had an effect on the Organisation of Petroleum Exporting Countries (OPEC) reference basked price, which presents a weighted average price of the oil produced by each member state. As you can see below, the OPEC basket price has risen over recent days, continuing its recent trend of slow but steady growth. This is excellent news for Nigeria which remains so dependent on crude oil exports, here’s hoping that this trend will continue!